Westie cartoon: Does Minnie really want a kayak? This is a brand-new, never-seen-before westie cartoon from my (forthcoming) second cartoon book! It’s hard to say whether it’s me, Minnie, who wants a kayak – or mum! Hint: Check out my latest summer holibobs photos here… they may just include a kayak!! 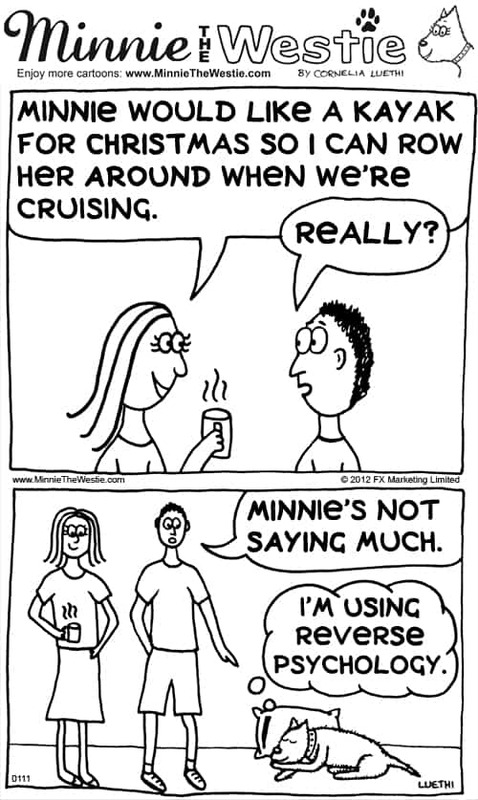 Do you enjoy Minnie the Westie cartoons? Treat yourself (or a loved one) to a book full of smiles! Copyright © FX Marketing Limited 2011 - 2017. All Rights Reserved. Click here to find out about licensing options.